Heritage Water Tanks proudly supplies premium quality steel water tanks for residential and commercial markets in North West Victoria. We offer domestic and rural tanks in sizes ranging from 55,oooL to 375,000L. As part of our quality promise, we offer a 20-year Pro-Rata Warranty on all of our water tanks. Mildura is a regional city in north-west Victoria. Located on the Victorian side of the Murray River, Mildura has a population of over 31,000. As the largest settlement in the Sunraysia region, Mildura is a major horticultural centre notable for its grape production, supplying 80% of Victoria’s grapes. 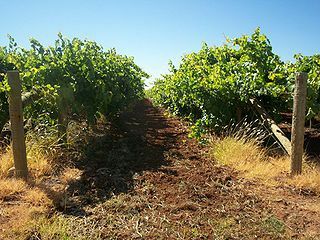 Many wineries also source grapes from Mildura. Other key crops produced in the district include citrus, almonds and dried fruit. Mildura is located on the banks of the Murray River. The city’s name was taken from the Mildura homestead, an early sheep station which covered most of the area. The urban area of Mildura is surrounded by a horticulture region, known as the traditional pumped district, where the original grape and citrus blocks were located with water irrigated from the Murray River. While the land along the river and irrigation channels is fertile, much of the land around Mildura is also dry, saline and semi-arid and with an annual rainfall of only 280mm, water is the lifeblood of this community. Mildura’s location in Victoria has seen the Government of Victoria take an interest in the city as a possible centre for population and industry decentralisation programs. There are also numerous proposals involving the state government for large scale developments and investments planned for the future. With high interest in the region and the potential for sustained growth in the long term, water security in the Mildura region has never been so important.